If you are looking for a quality air conditioner at a low price, one of the best available is the Ruud 13AJL central air conditioner that offers standard efficiency and very reliable performance. This 13 SEER central air conditioner is a work horse if it needs to be, but it’s also a perfect fit for homes in moderate or cooler climates where a high-efficiency model isn’t as essential. This letter from Tom in Hamilton, New York offers not only the Ruud 13AJL Series central air conditioner price but one of the ways this inexpensive air conditioner can be used. 2 ton Ruud 13AJL central air conditioner: $1,029; Installation, $1,540; Total: $2,569. Quality scroll compressor which is efficient, durable and quiet. Uses R-410A refrigerant which is proven to be more environmentally safe. Durable, heavy gauge galvanized cabinet resists corrosion and looks better longer. Unique fan motor mount reduces vibration and corrosion while enhancing motor longevity. Easy-access service panel makes cleaning, maintenance and repairs easier. Conditional 10-year warranty on the compressor and all parts. Many people choose the Ruud 13AJL Series central air conditioner because they want to save money. Some of them make the mistake of installing it themselves in order to further cut costs. Studies show conclusively however, that DIY installation is a major source of system failure. Plus, for some brands, this will void the warranty and leave you with an expensive bill. In the long-run, it’s better to have a qualified contractor handle the installation so you can know your unit is covered by the warranty and that it is operating at peak efficiency. 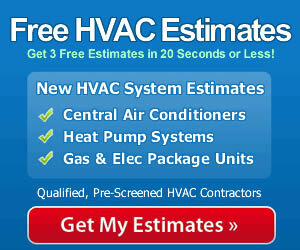 Factor installation into the central air conditioner prices bids you get and you’ll be further ahead in the end.